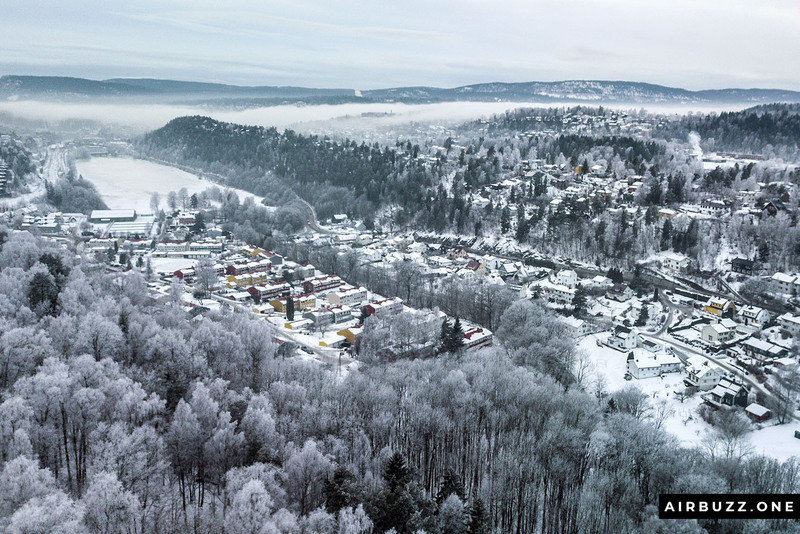 Drone pictures of winter in Sandvika, Norway. 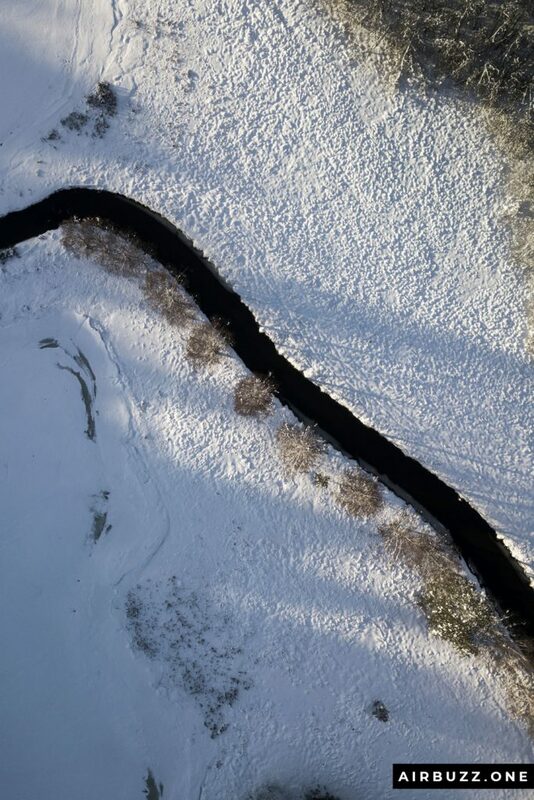 I don’t get tired of flying my drone over snowy landscapes. 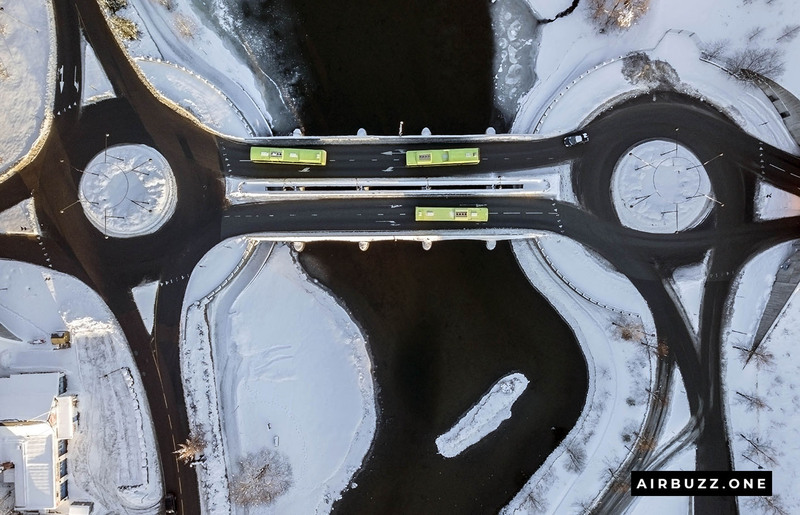 In the last article, I wrote about awesome drone pictures taken by pro pilots over snowy landscapes Check the link just below. 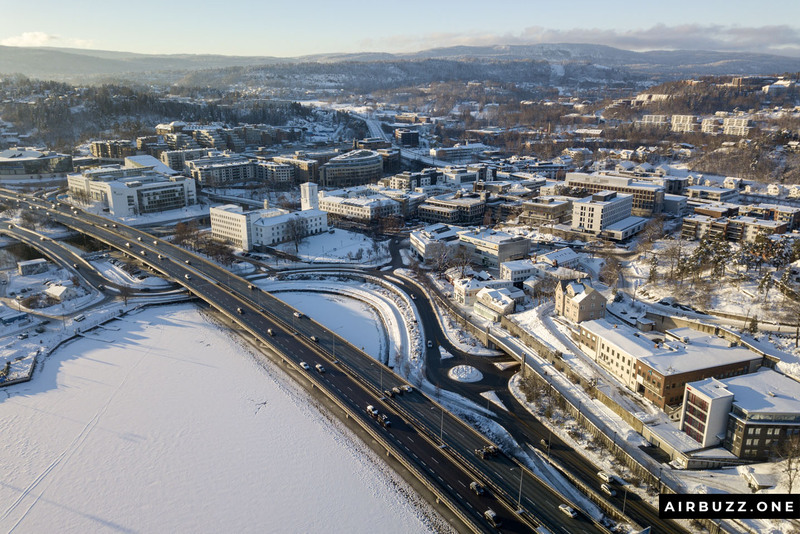 This time I took the drone for a flight over my hometown Sandvika. 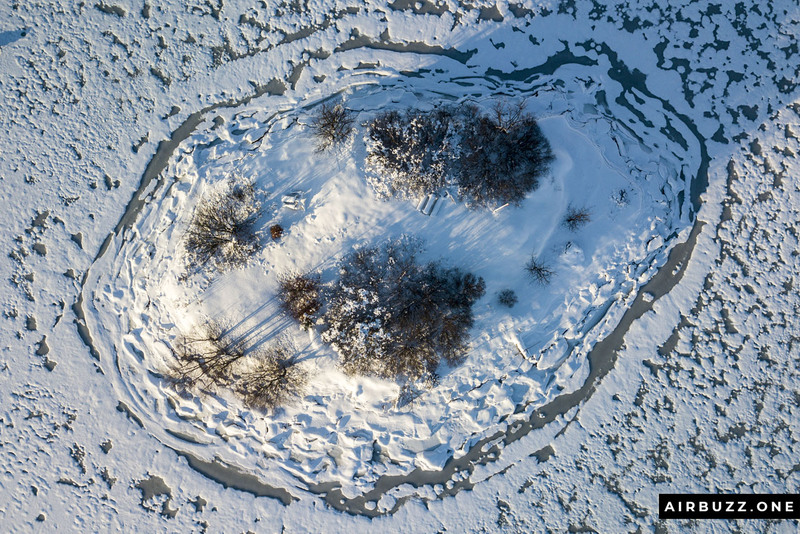 Check out: 32 Beautiful Drone Pictures of Snowy Landscapes! 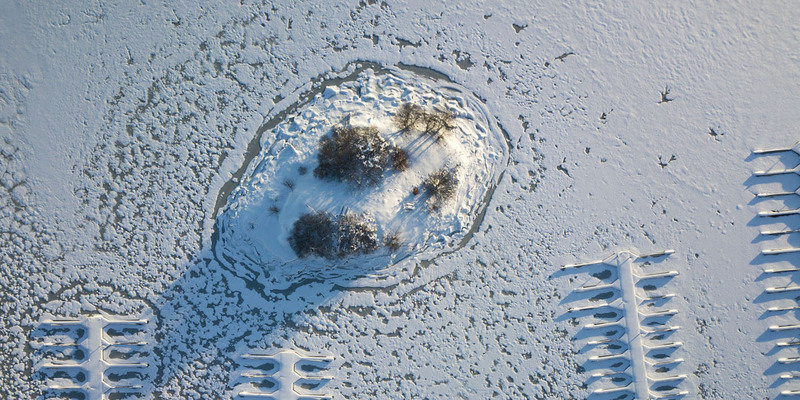 I started out walking past Engervannet and launched the drone above the frozen water. This is the only time of year that birds are not present here. During spring, summer, and autumn the small lake, that is only 4 meters deep, is packed with birds and I would never think about flying among them. The lake is not counted as a nature reserve, which in that sense makes it legal to fly above it. 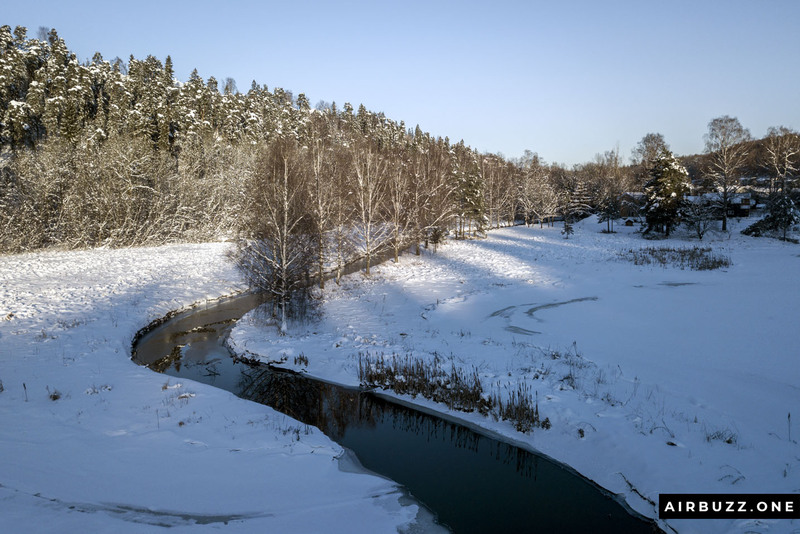 At the end of the lake, there is a small river, Øverlandselva, which have a nice row of trees on the one side. I have thought about this particular shot for a long time, but while the result was okay, the pictures didn’t come out the way I wanted. What do you think? 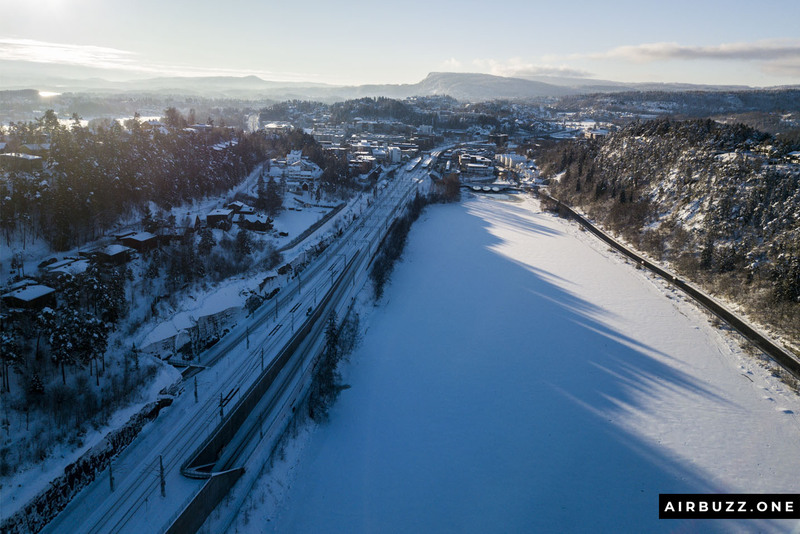 Then I walked to Sandvika and took a few pictures above the empty boat parking at Lakseberget Båtforening, the small island called Denmark, and a few shots towards Sandvika with Drammensveien – E18 in the foreground. I also found that the two roundabouts next to Sandvika Station almost looks like a face with glasses. Hope you like the pictures. Please share your own drone blog in the comment section, or your thoughts about mine. I’m working hard towards the goal of making a cool drone blog. Øverlandselva with trees on one side. Another shot from Øverlandselva – How can I make this picture better? Close up of the empty untouched boat parking. 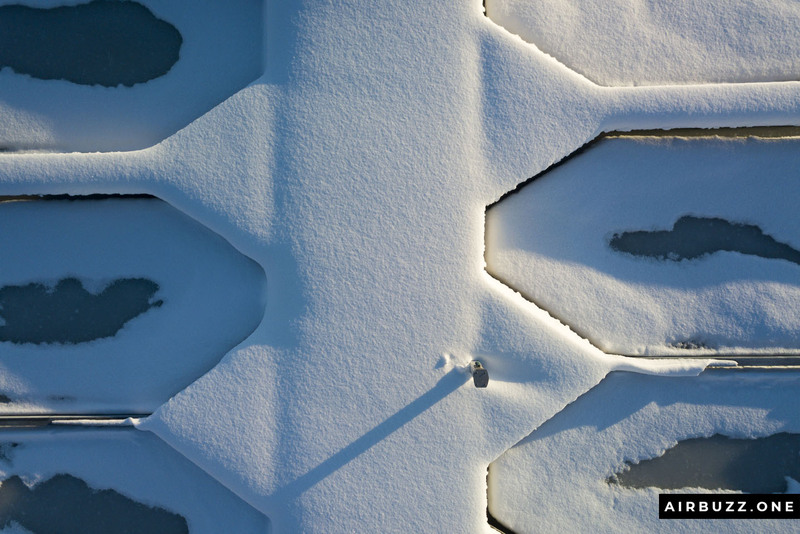 I couldn’t decide which picture was coolest… the closeup, this one or the next with more altitude. 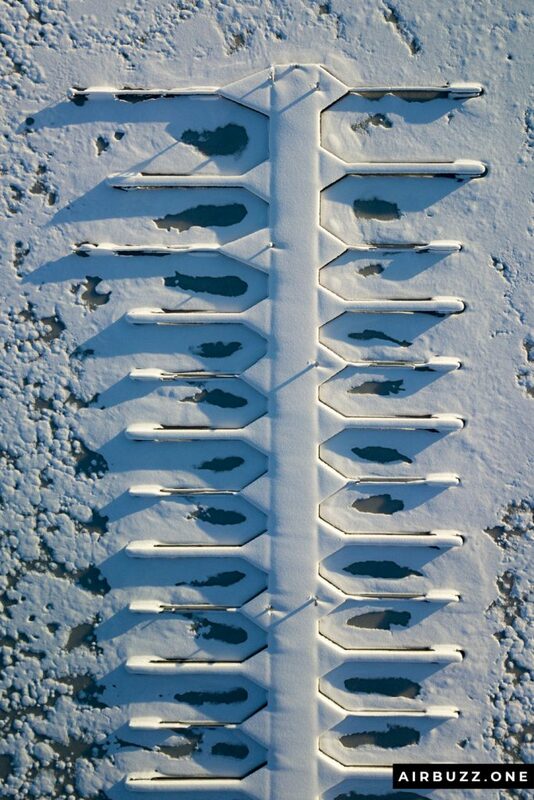 The straight down drone picture of the empty boat parking looks like a fish skeleton or somethin… Guess the picture would be even better with just one old boat laying there. The small island called Denmark. 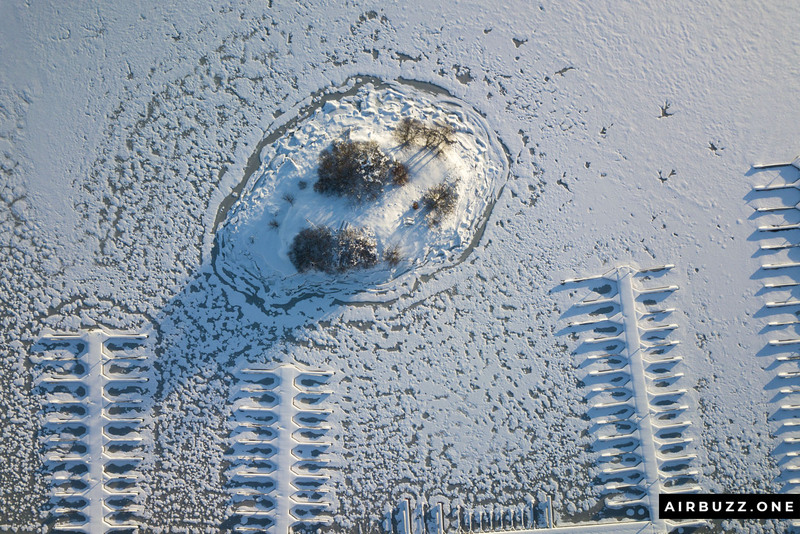 Denmark – You can see the snow covered benches. 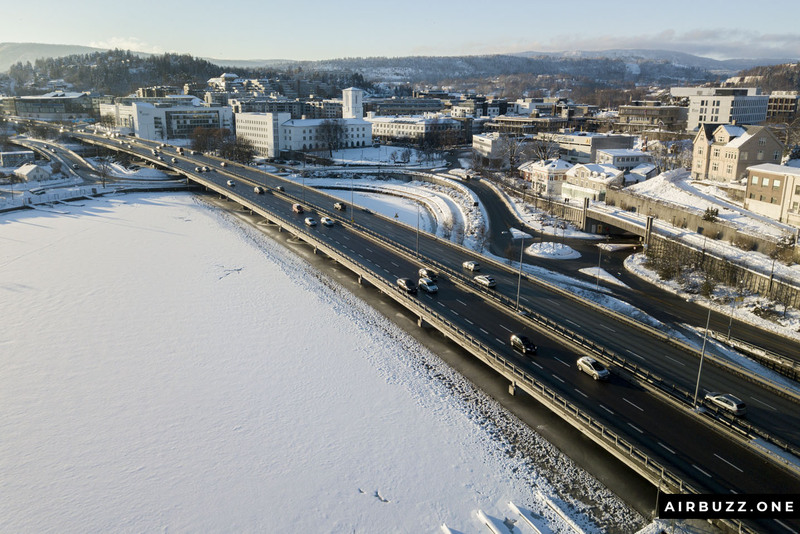 Drammensveien E18 with Sandvika and the City Hall (Rådhuset). 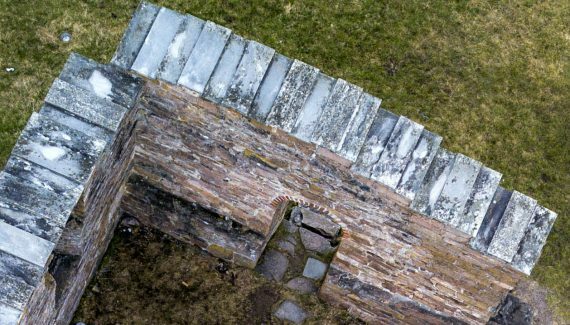 Drone pictures of medieval St. Margaret’s Church! 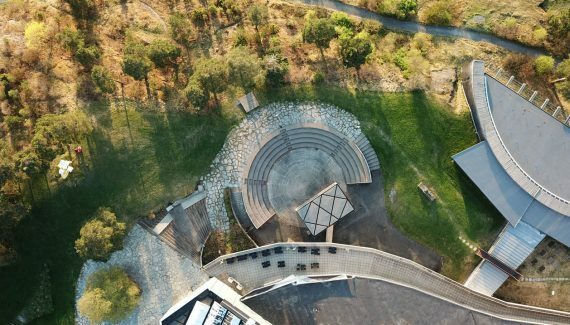 Artful afternoon drone flight over cool architecture! I had my reservations about drones being used for weapons of mass destruction until a friend of mine showed me an aerial view of a wedding on a magnificent landscape. It was unbelievably clear and so professional. How does one download the images onto the laptop and is it cheaper than a video camera? 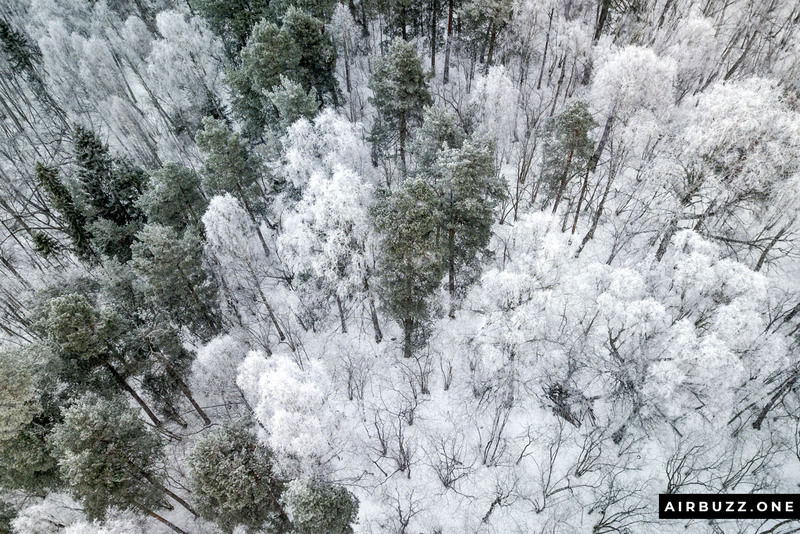 The pictures are stored on a memory card inside the drone. Either connect a USB cable to the drone, of pull out the memory card and upload the pictures to the PC with a memory card reader. Super easy! The Drone you are flying: Is it ok to use them in our climate? I’m from Sweden and do know that electric stuff uses to stop working after a while in the cold? What is your experience of that? Anyway, I like your blog and really starts to think to buy one for my self to summer when we are sailing. Would love to take some videos from that. If you have a recommendation about a good drone that is safe to use on the water I would appreciate that. Hi! It is absolutely true that the Island is called Denmark. 🙂 It even has a Danish flag on it. I’m from Norway myself. 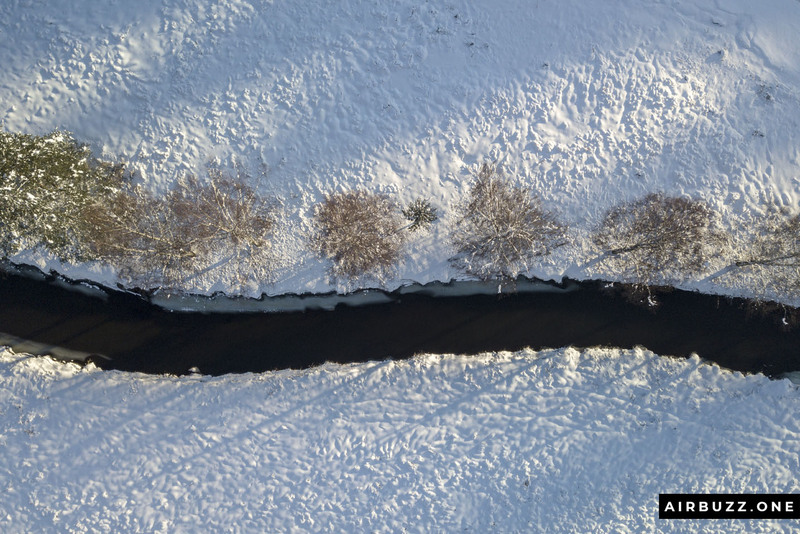 I’ve used the Mavic Pro in minus degrees even if DJI don’t recommend it. 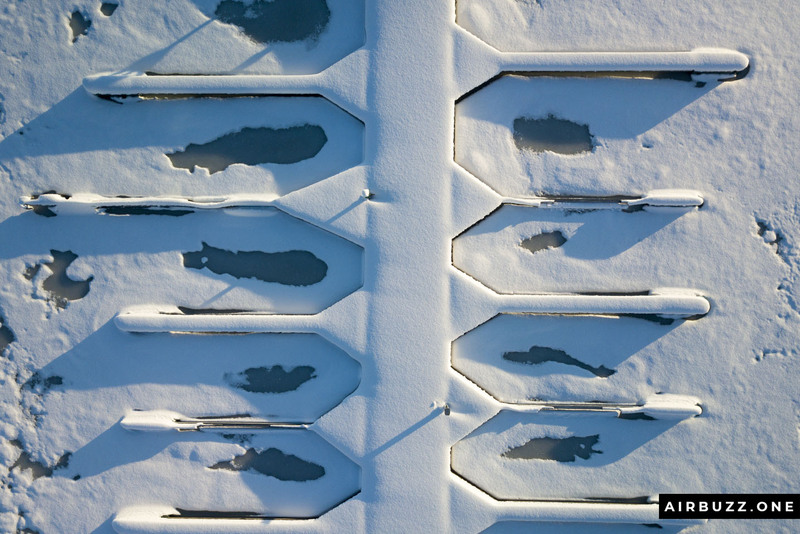 If the air is cold but dry, I don’t think there will be a problem, but if the air is cold and humid you can get ice in the motors. A friend of mine experienced that. I have used the drone over water myself. Of course, there is never a guarantee that the drone will not fail while over water. I have heard that you shouldn’t fly to low over water since the reflections and moving waves can confuse the sensors. I will also write about a landing gear suitable for water in an upcoming post about drone gadgets and accessories. One more thing to think about when launching the drone from a boat, if it is anchored or moving, is that the home point will change. So, if your drone gets any trouble and the emergency return procedure begins, the point where it took off will not be the same. You can set the home point to where the remote (and you) is, of course.